Relying on a mix of fresh and frozen can help you get your five-to-nine daily servings of fruits and vegetables. 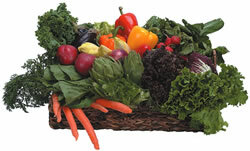 Fresh produce is best because it offers the greatest quantity and variety of nutrients. But how fresh is your produce?